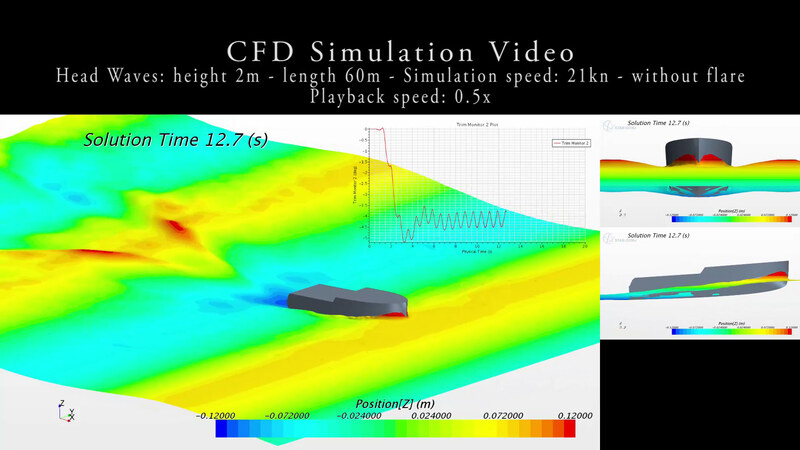 Due to CFD hydrodynamic numerical techniques (Computational Fluid Dynamic) it is possible testing different hull types for the same craft, quickly selecting the best solution or defining the best characteristics from each of them. In the same way, it is possible subsequently to optimize the performances simulating the impact of each type modifications chosen to evaluate the motion resistance influence, attitude, seakeeping and comfort. An efficient structure should be lightweight. Today the FEM software (Finite Element Method) allows to simulate the structures responses to certain loads applications. The mathematical models and the software we use, together with our experience in using them, allow us to offer a quick, complete and reliable service, which is significantly cheaper and with shorter waiting times, compared to the execution of several experimental tests.